The illegal country called Nigeria including its political leaders is made up of evil cycles. The efforts made so far in keeping Nigeria one is a crime against Biafrans. It is the same as that of ISIS government in Syria, where the likes of 'INJUSTICE' JOHN TSOHO abounds who work for corrupt politicians and Boko Haram DSS in Buhari's northern caliphate of Islamic government . Following what transpired during the proceeding of the court case of Mazi Nnamdi Kanu, it is undeniable that Justice John Tsoho who was the presiding judge is a very big threat to the judiciary in Nigeria and also to the fundamental human rights in Africa. His actions must be rejected and condemned in absolute totality and out rightly. This is to avert a repeat of his inconsistencies if an accused person falls into the hands of a judge like John Tsoho who twists rulings in favour of the powers that be simply because they are in charge. If nothing is done now, many innocent people will fall victim of his injustices and corruption. 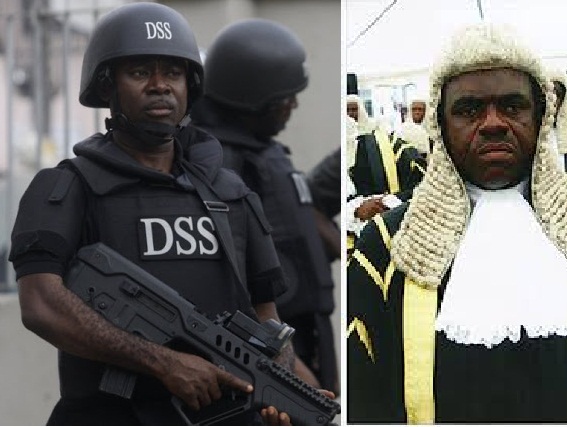 Other judges in Nigeria who once handled his case are being intimidated for not obeying tyrant Buhari through the DSS. The likes of Justice Niyi Ademola is being harassed for granting unconditional release of the Biafran leader, while John Tsoho moves about freely without any form of harassment from Buhari because he played along his orders. He did his Master's bidding and carried out Buhari's instructions not minding the oath he swore as a judge. Justice Tsoho should not be allowed to preside over cases in Nigeria anymore otherwise; innocent people will find themselves in Kuje Prison of Abuja and other Nigerian prisons. He should be sacked as a judge without further delay. He cannot give hope to a common man on the streets of Nigeria. Tsoho has soiled his hands and should not be allowed anyway near the Judiciary. Otherwise, any accused person who learns Tsoho presides over his or her case predicts the outcome even before proceeding. The International community should note that President Muhammadu Buhari of Nigeria is a tyrant whose aim is to kill justice and democracy in Nigeria and Africa at large through the help of the British who hates Biafrans because of the God-given resources in our land. He should be called to order now before he renders the Judiciary useless.